Award-winning #Celtic paranormal romance author, Mary Morgan resides in Northern California, with her own knight in shining armor. However, during her travels to Scotland, England, and Ireland, she left a part of her soul in one of these countries and vows to return. 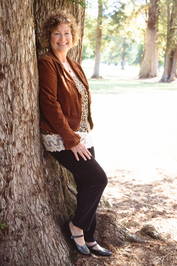 Mary's #passion for books started at an early age along with an overactive imagination. Inspired by her love for history and #ancient Celtic mythology, her tales are filled with powerful #warriors, brave women, magic, and romance. It wasn't until the closure of Borders Books where Mary worked that she found her true calling by writing romance. Now, the worlds she created in her mind are coming to life within her stories. 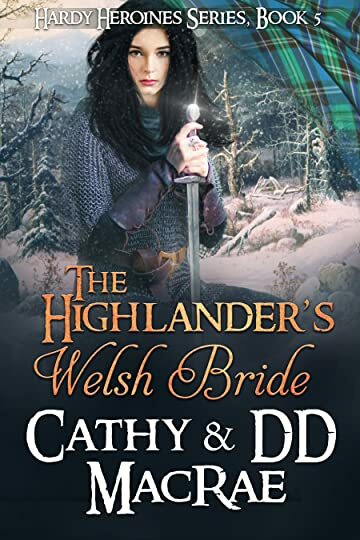 If you enjoy history, tortured heroes, and a wee bit of #m Award-winning #Celtic paranormal romance author, Mary Morgan resides in Northern California, with her own knight in shining armor. However, during her travels to Scotland, England, and Ireland, she left a part of her soul in one of these countries and vows to return. If you enjoy history, tortured heroes, and a wee bit of #magic, then time-travel within the pages of her books. Visit Mary's website at http://www.marymorganauthor.com where you'll find links to all of her books, blog, and pictures of her travels. To ask Mary Morgan questions, please sign up. Mary Morgan Hi C.J.! Which country has the highest percentage of redheads? My best guess: Ireland. And I love "hanging" out in the Rose Garden! Since my genre is…moreHi C.J.! Which country has the highest percentage of redheads? My best guess: Ireland. And I love "hanging" out in the Rose Garden! We’d love your help. Let us know what’s wrong with this preview of Quest of a Warrior by Mary Morgan. From the first page, I was emerged in the world of a rock star, Quinn MacDonald. He and his band had it all. Until Hurricane Nina hit. My heart broke several times reading this phenomenal page-turner. How does Quinn find his way back to the living and From the first page, I was emerged in the world of a rock star, Quinn MacDonald. He and his band had it all. Until Hurricane Nina hit. My heart broke several times reading this phenomenal page-turner. We’d love your help. Let us know what’s wrong with this preview of After Hurricane Nina by Katie O'Sullivan. In the second book of the series, I decided to relive a certain incident in this warrior’s past. In particular, 17th century Scotland. Rory MacGregor chose to keep the details of this event hidden from the Brotherhood of the Fenian Warriors. Yet with In the second book of the series, I decided to relive a certain incident in this warrior’s past. In particular, 17th century Scotland. Rory MacGregor chose to keep the details of this event hidden from the Brotherhood of the Fenian Warriors. Yet with any dark secret, time will eventually peel back the veil of reality. Sending him back to heal his wounds was torture, and I agonized with my hero. We’d love your help. Let us know what’s wrong with this preview of A Magic Redemption by Tena Stetler. We’d love your help. Let us know what’s wrong with this preview of The Pagan Princes by J. A. Snow. “Once every hundred years, two souls are brought together through the veil of time. They are deemed the chosen ones by the Fae. Through their acts of kindness, generosity, and love to others, they often neglect to find their one true love. Their devotion to aiding others blinds them to their own happiness, leaving them alone. Time is fleeting and only the strongest and purest of heart will be able to capture the spark of love. If the ember ceases to grow, then on the stroke of midnight on the Winter Solstice the two lovers will be returned to their own time. The doors of past and present to be closed forever. In this year, 2016, the Fae have chosen Cormac Blaine Murray and Eve Catherine Brannigan to receive this special blessing – a chance of love – everlasting. Readers, find bargain books in all genres. Authors, share your bargain books. PLEASE read the intro/instructions before proceeding. I'm sure I will. Have a great day. Thank you much. I haven't yet read any of your books, but I'll be looking. Have a great day. Martha wrote: "Hi Mary! Nice to be Connecting with you! You're books seem very interesting. Thanks so much, Martha! I hope you enjoy the Dragon Knights! Hi Mary! Nice to be Connecting with you! You're books seem very interesting.